The collection hinged on the concept of fluidity. 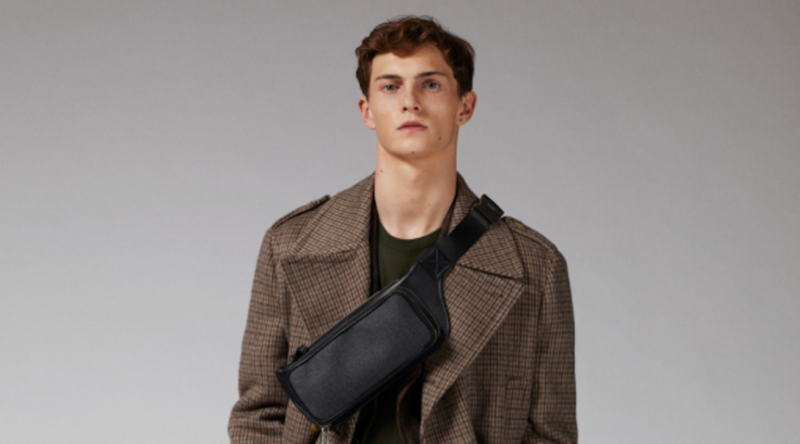 Tod’s men’s creative director Andrea Incontri showed an edited and focused collection for the brand, one that revolved around the concept of “liquidity” and “the gentleman flow,” a fluid wardrobe that is neither formal nor sportswear, but adjustable to and fit for different situations. Indeed, “seasonality is over,” Tod’s chief Diego Della Valle believes. “We need a transversal product that will last for most of the year and from one Monday to the next,” he said. Incontri showed beautiful and light delavé wool or cashmere double-breasted coats with a delicate wadding as a detachable lining. The eco-sustainable fabric called Waterborne has the touch of soft leather and has “zero impact on the environment,” noted the designer. The boxy silhouette was also seen in a three-button jacket, a parka and a bomber, worn with a practical pouch with padded quilting, leather trim and two-tone stripes, slung across the torso. The look was minimal, which is key for Incontri this season. There were also cozy and cocooning puffers with motifs ranging from checks and pied-de-poule to graphic patchworks. Tod’s staple Gommino evolved with a new toe cap with an embossed pebble-sole pattern that also wraps around the upper. There was also a new light running shoe in brushed calfskin with a Velcro fastening.